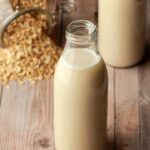 Creamy and delicious oat milk! 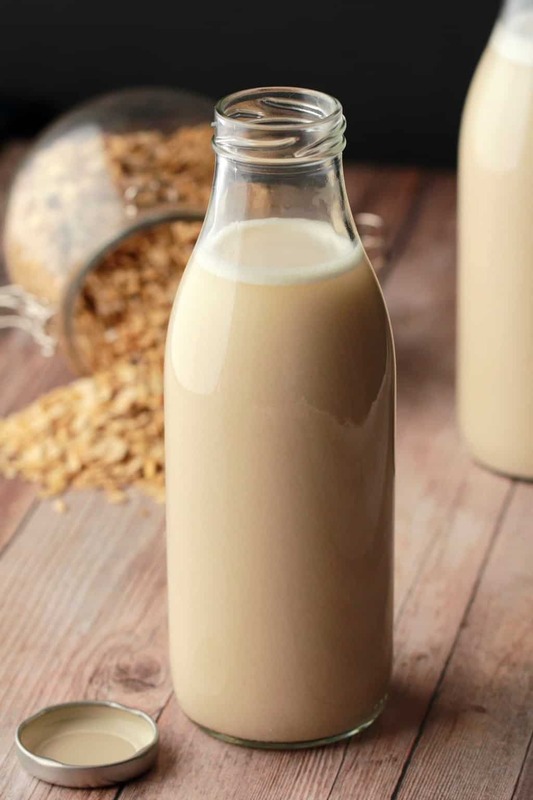 This homemade oat milk recipe is 5 easy ingredients, ready in minutes, and delicious in tea or coffee or poured over cereal. 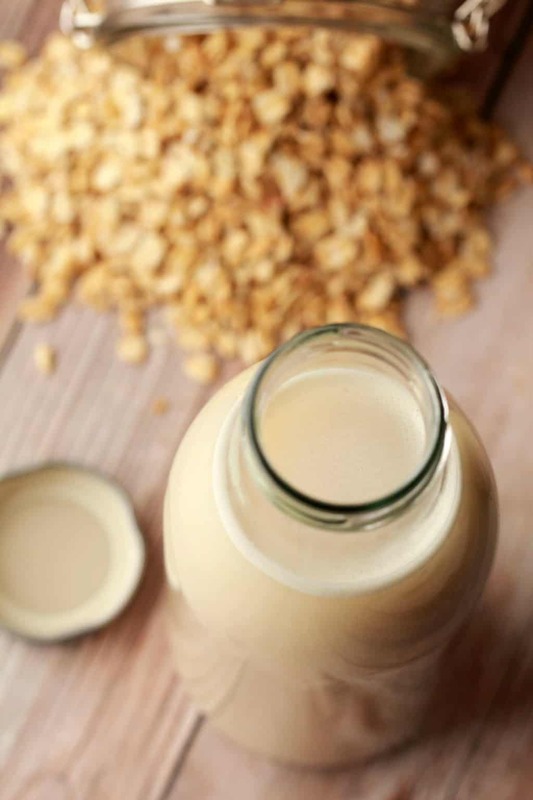 It’s so easy to make your own homemade oat milk! 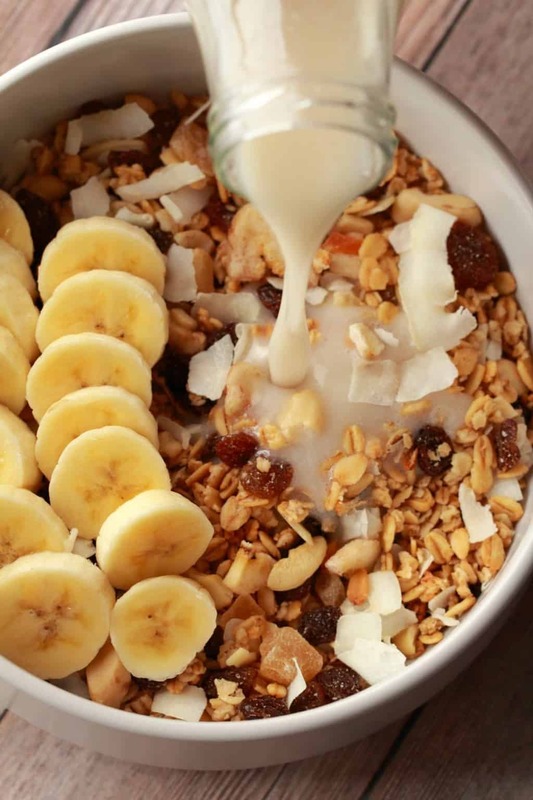 All you need is some rolled oats in your cupboard and you’re good to go. 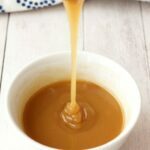 Add some maple syrup, or other syrup of your choice, vanilla extract and a pinch of salt for some optional extra flavoring, blend it all up and strain it through a nut milk bag! 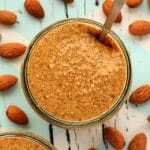 It has a lovely neutral oaty taste that is delicious to drink as is or to use in smoothies or over cereal or in your coffee and tea. 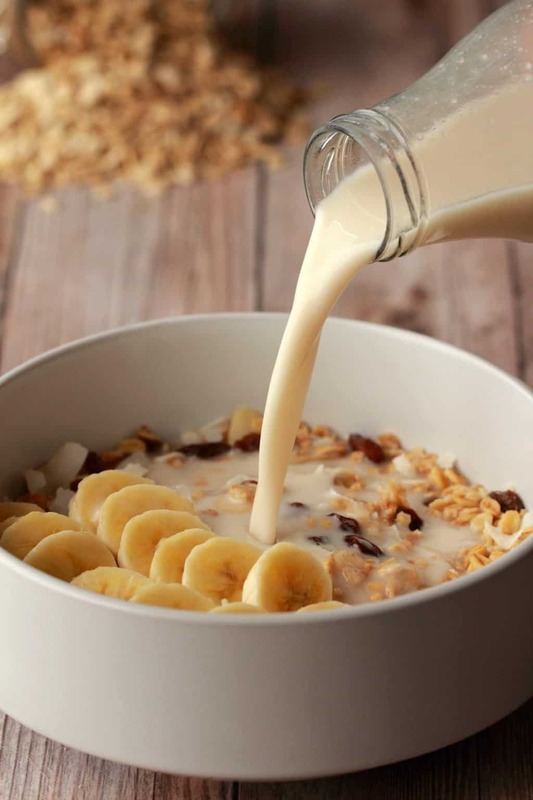 A lot of recipes for how to make oat milk recommend soaking the rolled oats first and then rinsing them very well to remove any sliminess before blending. Yes, oats get slimy. It’s weird. But I actually found in experimenting that the best results came about from not soaking the oats at all. It’s also quicker this way. When I soaked them first and then rinsed them, the result was really slimy. But when I just blended them without soaking, there was minimal slime. Okay I know that still sounds gross, minimal slime? So there’s still slime? Haha yes, a little, not in the end result, but when you’re straining them through that nut milk bag, it’s going to feel a little slimy. I have heard that over-blending can cause sliminess as well, though I did not experience this at all, but just beware of this as a possibility. Blend only as much as needed, which tends to be around a minute to get everything nicely blended in. 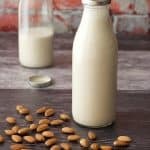 If you’re straining through a nut milk bag, (often also called a nut mylk bag), then it’s super quick and easy to do. If you don’t have a nut milk bag you can strain it through cheesecloth placed over a strainer. 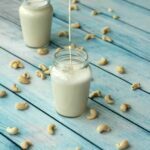 However, if homemade milks are something you plan to make regularly, then investing in a nut mylk bag is very worthwhile. This is the nut mylk bag I have and am very happy with. 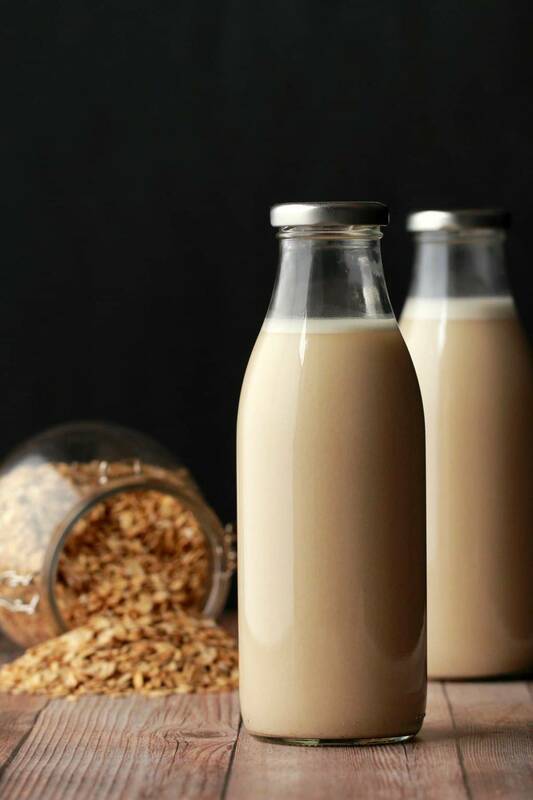 This homemade oat milk is great in tea or coffee or over cereal. However, it’s not great heated as it tends to get quite thick and clumpy when you heat it. So you can add it to hot drinks and that’s fine, but don’t heat it up before adding it to hot drinks. 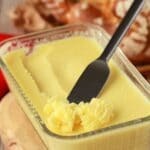 Keep it in the fridge where it will stay fresh for up to 5 days. 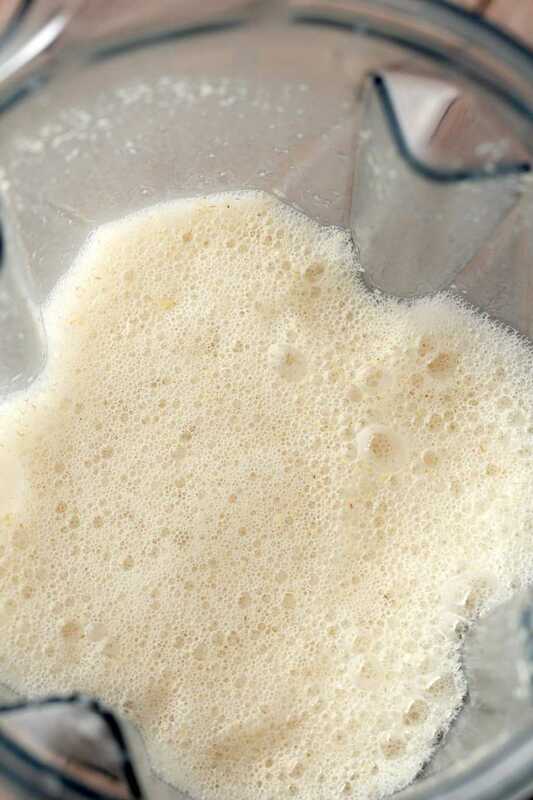 Shake it up before use as it tends to separate in the fridge, don’t worry this is normal, give it a good shake and enjoy. 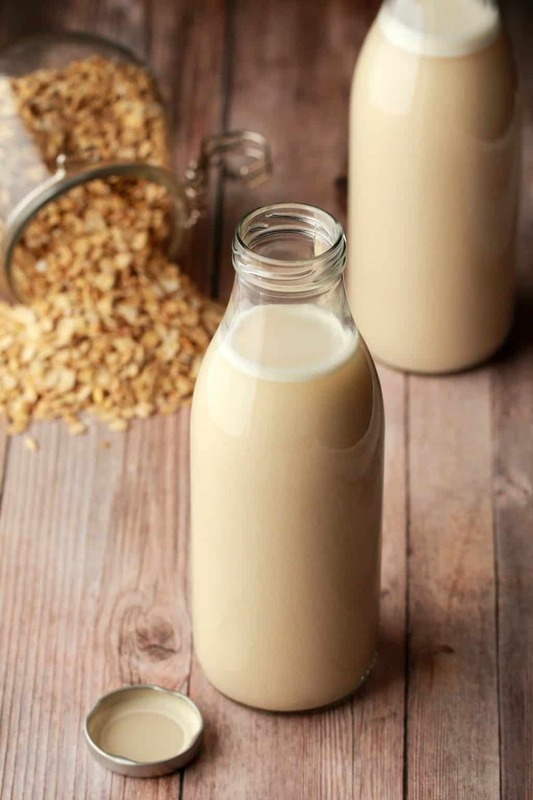 What do you think of this homemade oat milk recipe? Let us know in the comments and rate the recipe too please. Thanks so much! 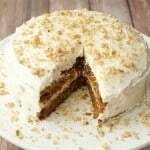 Sign up to our email list for a gorgeous 10-recipe ebook (entirely free!) 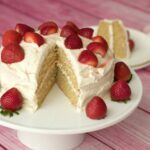 and you’ll also be the first to know whenever new recipes are posted to the blog! Strain through a nut mylk bag or place cheesecloth over a strainer and strain it through that. Store the milk in the fridge where it will stay fresh for up to 5 days. Shake it well before use. Use in your tea or coffee or pour over cereal. *Don’t soak your oats first, I found this caused sliminess, no matter how much they were rinsed. 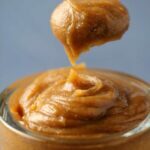 *Don’t overblend as apparently it can also cause the oats to become slimy though I have not personally experienced this. About a minute of blending is usually sufficient. *Don’t heat the milk as it causes it to get very thick. It can be added to hot drinks like tea and coffee though. 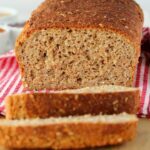 *This recipe is gluten-free as long as you use gluten-free rolled oats. Delicious! And I agree that the results were not slimy at all. 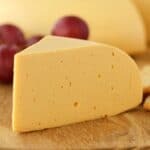 The only drawback was that the cheesecloth was so-o-o slow to the point where it stopped straining the milk altogether. Is a nut mylk bag any better (faster)?